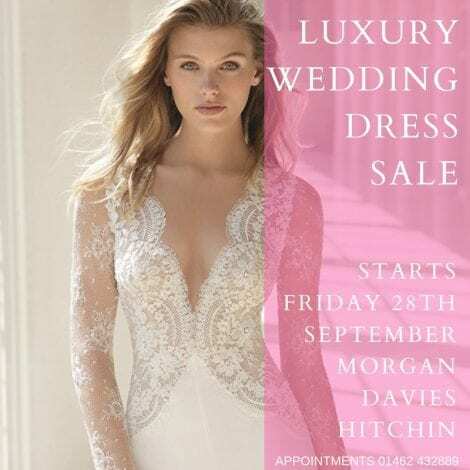 We’re having a sale at Morgan Davies in Hitchin. Some of our beautiful sample wedding dresses have to find a new home with a gorgeous bride to be! Dresses start at just £500 and every bride buying will receive a little thank you goody bag. If you have any questions about styles, sizes or prices don’t hesitate to call us or if you would like to book an appointment.